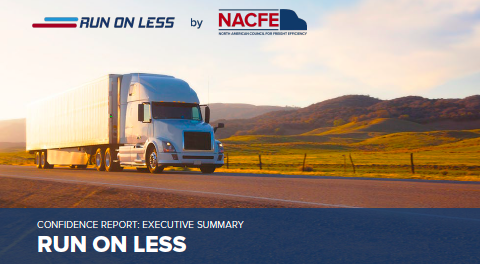 The North American Council for Freight Efficiency (NACFE) today released an in-depth report on Run on Less—a first-of-its-kind fuel-efficiency roadshow, demonstrating high miles per gallon using currently available technology. The research team also distilled the actions used by the seven participating fleets to achieve high levels of performance, including high-impact technologies, driver behavior, vehicle configuration and more. Throughout the run, the seven trucks from participating fleets—Albert Transport, PepsiCo’s Frito-Lay Division, Hirschbach, Mesilla Valley Transportation, Nussbaum Transportation, Ploger Transportation and US Xpress—saved 2,877 gallons of fuel and $7,193 against the national average of 6.4 mpg. Complete results can be found at Run on Less.